A shed is an easy addition to your garden to help with storage issues or providing a space to work from. 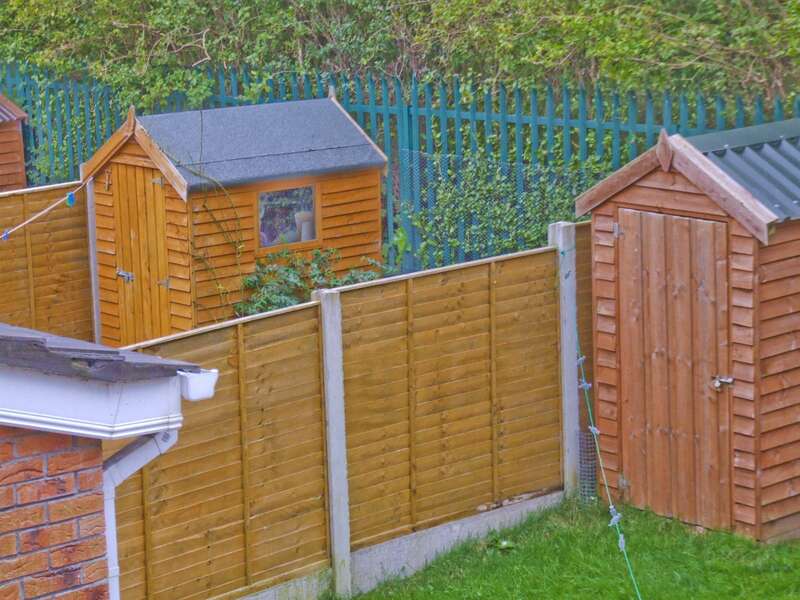 We have sheds in a range of sizes which are a breeze to build. Before putting your shed together, treat all of your wooden parts with wood preserver. This will boost the protection and preserve your shed for a longer life. Always make sure to wear gloves and safety goggles when using wood preservative. When building a garden shed, the base is key. Your base needs to lay flat on a sturdy, level ground – otherwise your shed will disfigure. Begin by laying out the joists under the shed’s floor sheet. The amount of space you leave between each joist depends on the specific shed you’re building – take a look at the manufacturer’s guidelines. Fix the first joists underneath the long outer edges of the floor sheet, then fix the remaining joists evenly between them. Take your tape measurer and make a pencil marking showing the centre point of each edge. Do the same on the bottom batten of each side panel. This way you can ensure they’re centred correctly when you put up each wall. Stand the gable end of the base that doesn’t have the door upright and line up the centre marks. Have your partner hold the panel and check that it’s vertical using your spirit level. Use a holding pattern to hold the panel in place. Position and fix the side panel to the gable end panel along the framing battens where they meet. Fix them together using three 50mm countersunk screws at the top, middle and bottom. Repeat the previous step for the second side panel and front gable end that has the door. Do not fix the shed frame to the floor until the roof has been fitted. Slot the roof support beam into the pre-cut grooves at the top of each gable end. Make sure that the shed is positioned firmly onto the base and that the doors opens easily. Fix the beam to each gable end using 30mm screws through an L-shaped metal bracket. Place the roof panels on the ground with the wooden strips (eave sections) positioned underneath. Measure and mark with a pencil six fixing positions. These marks should be equally spaced. Drill pilot holes on the markings and hammer in nails to fix the eave sections to the roof panels. One at a time, put the roof panels into place. Arrange in line the shed frame using the markings, then fix the panels along the roof support beam using 30mm screws. Secure them to the gable ends and sides of your shed using 40mm nails. Double check that your shed is placed evenly on the base before finally fixing the sides and gable ends to the shed’s floor using 50mm nails. Begin by unrolling the roofing felt, then measure and cut out three sections. Two of these sections is for each of the roof panels, and the third section is to place along the apex to stop any water coming in. Make sure that the two sections that are covering the roof panels cover the entire length of the shed, and leaves a 50mm overhang at the ends. The third piece covering the apex should be the same size and lay at least 75mm over each roof panel. Fix the roof felt in place along the top edge using felt nails with a length of around 300mm apart. Next, fix it down the gable ends using the same felt nails, with a length of around 100mm apart. Repeat the previous step for the second section of roof felt. Lay the third section of felt over the top of the roof and nail it using four felt nails on the front and back gable ends. Secure each corner trim down with three 30mm nails – evenly spaced.